Most people no longer expect to stay with the same company or work in the same position from the time they graduate until they retire. Real upward mobility usually happens by moving from one company to another. When you first start working, you may be getting a feel for corporate culture and trying to decide if you really enjoy the job you are doing or if you want to adjust your career focus. It can be frustrating and difficult if you realize that you do not enjoy the type of work that you are doing. It can also be frustrating to realize that you do not have the opportunity to advance in your current position. Staying at a job with no opportunity is one of the common career mistakes that people make. These questions can help you determine how long you should stay at your current position. Have I Been There Long Enough? You want to stay long enough that your next employer will not worry about you jumping ship at the next great opportunity. It is a minimum of a year with the first company you work with. If you have the chance for a promotion within the company, you should take it. You can survive most situations for a year. If you do leave earlier than that, you need to have the reason why clearly labeled in a positive manner so that you can handle any questions you get about it. Am I Close to Being Vested? Another thing you may consider is how close you are to being vested in your retirement plan. When you are vested, you get to keep the retirement contributions that your employer made on your behalf. You will always get to keep your contributions. If you are only six months away from being vested, it may be worth waiting until you hit the length of time to keep those contributions. Many companies will have the cut off at the five-year mark, but some companies may consider you vested after three years. If you have two more years before you are vested in the plan, it may not be worth waiting to look for a new job. You need to find the balance for your situation. Is There an Opportunity for Upward Mobility? If you know that you may qualify for a promotion after a certain amount of time, you may choose to stay at your current company. However, if you know that you have maxed out your potential for growth at your current company, you may be in a position where it is time to look for a new job. 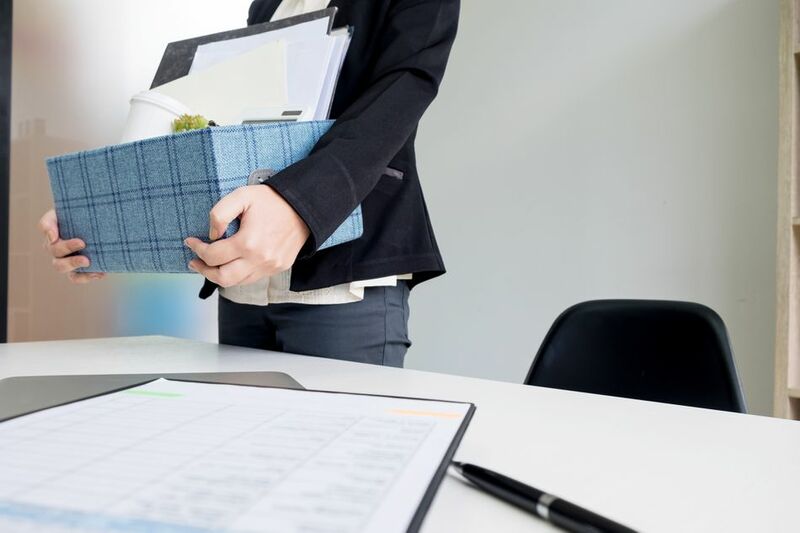 However, if you have been passed over for a promotion, you may want to start looking, because your management may not see you in a leadership role. You do not want to spend time in a position where you are not valued and appreciated. Do You Have Any Obligations to Your Current Employer? When you signed on to your current employer, you may have received incentives like help with paying your student loans or moving expenses. Generally, these have a clause that state the amount of time you must work for the company without having to pay the money back. If your current employer paid for some of your college classes through tuition reimbursement, you may need to work a set number of years with your employer, or you will have to pay the money back. Before you switch to another company, make sure you have met all of your contractual obligations at your current job. Your signing bonus will have a similar stipulation with it. Am I Ready for a New Job? Before you begin looking for a new job, you will want to make sure that your certifications and other skills are up to date. Take the time to prepare your resume and to reconnect with your network before you start looking for a job. If you want to change careers, you will likely need to take extra classes, and it is easier to do that while you have your current job. Create a solid plan so that you can reach your career goals. You should also try to save up some extra money to cover yourself as you switch over your benefits between jobs. You may also decide you are willing to downsize to take a job with less stress. If you are considering this, make sure that you are ready to make the changes you need ​to your lifestyle. You should also consider the job security of your new job, before taking another offer. However, if you are in a situation where you are not getting regular paychecks, you should begin looking immediately.